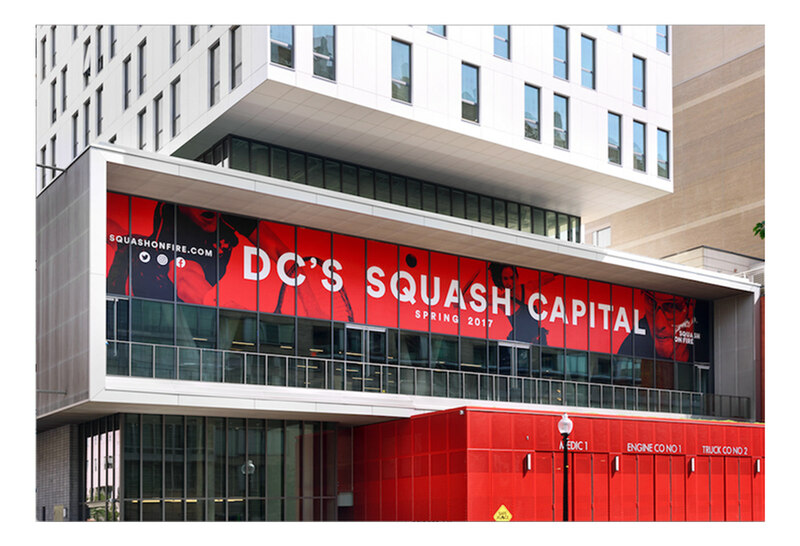 Squash on Fire is a state-of-the-art squash club is the newest boutique sport in the nation's capital. 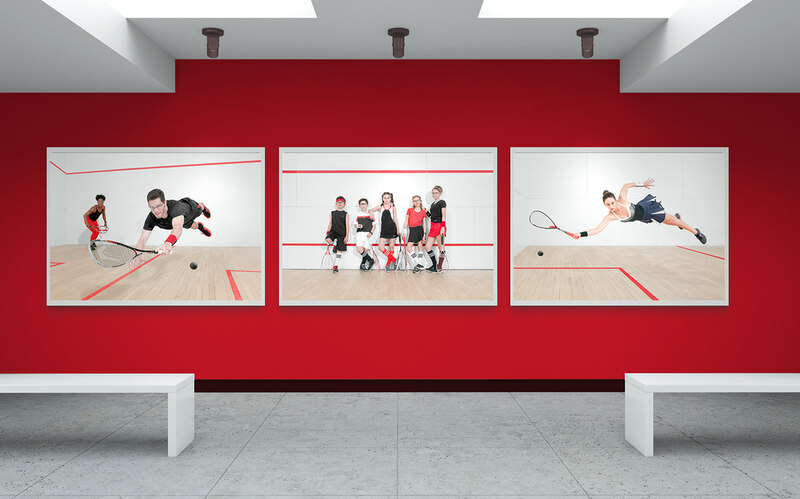 The new space, designed by Enrique Norten, was designed to be ultra modern, sleek, and fitted with all the trappings and luxe amenities found within traditional sports clubs. 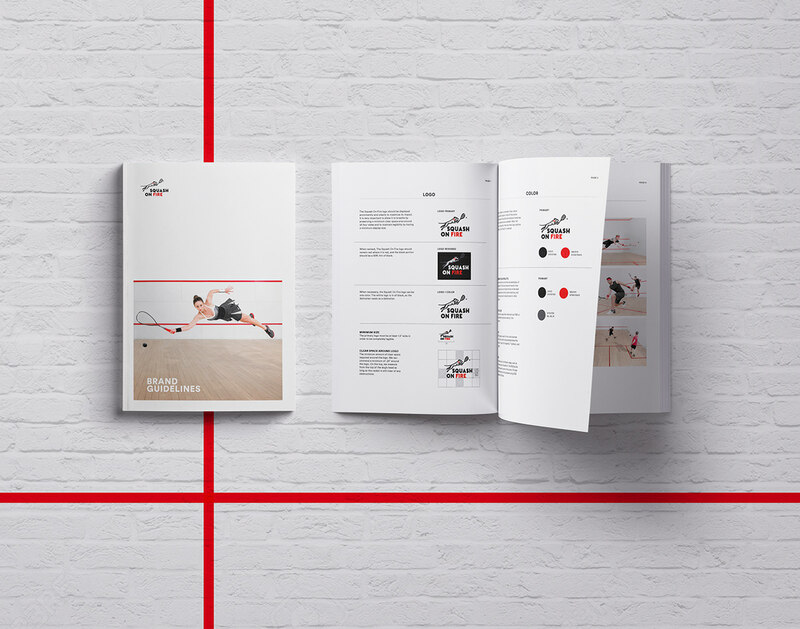 The brand is friendly and bright, geared towards changing the perception of squash as a traditionally elite sport with Squash on Fire's pay-to-play business model. 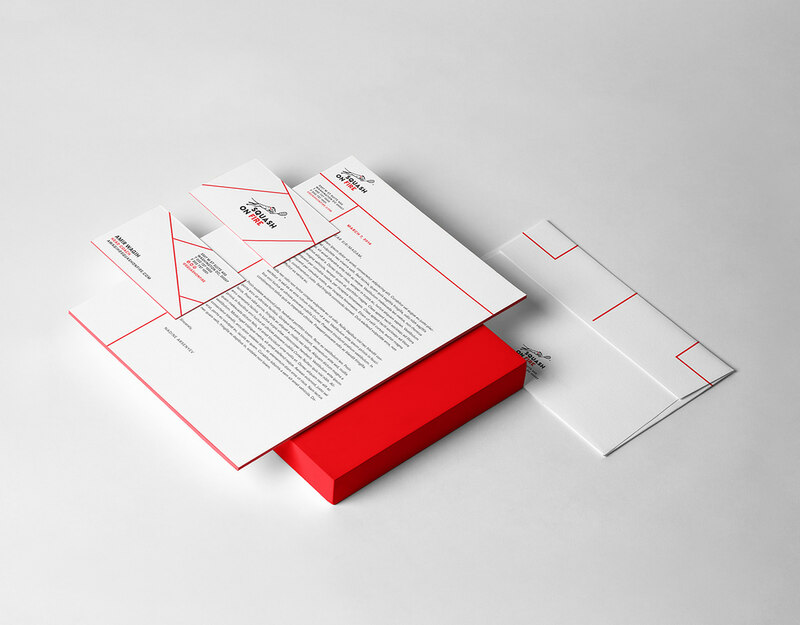 The logo itself takes cutes from the history of the building, the Dalmation riffing off the fact that the sports club was formerly a fire station. 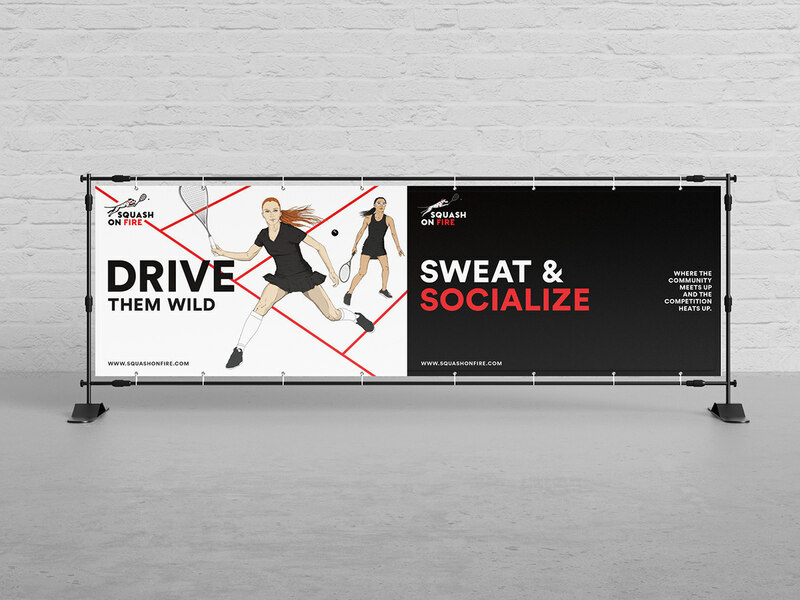 The color palette is monochromatic, taking cues from the colors of a squash court, pulling through to the business papers, custom photography, and illustrated banners promoting the sports club. 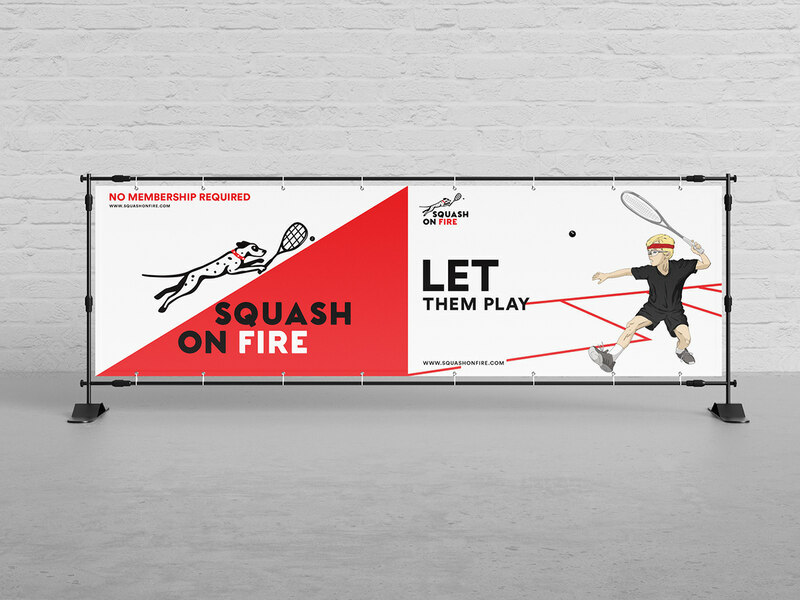 Squash on Fire is a boutique sports brand located in Washington D.C.